I got a chance to ask some questions to Shane Harper this week about his new movie, God’s Not Dead. He plays a principle character in the upcoming film and even wrote and recorded a song for the soundtrack called, “Hold You Up”. God’s Not Dead will be released in theaters March 21st, 2014. >>> Tell us about yourself, where did you grow up, high school life, church involvement? And some of the youth workers reading this might recognize you from some of your previous TV or film work. Tell us about it! 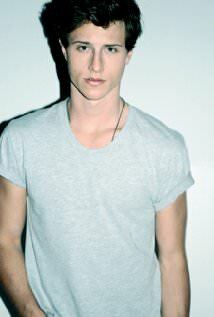 My name is Shane Harper. I was born in La Jolla, California and spent the first few years of my life living in Oceanside, until my family and I moved to Irvine in Orange County when I was 5 years old. I lived there for 12 years until we relocated to Los Angeles in the summer of 2010. I was home-schooled my entire life. I didn’t ever want to try public or private school; though the experience did seem fascinating to me. When I wasn’t doing school work I was either at Karate, dance class, playing my guitar, or working on a new musical with my local theatre group. I was born into the Christian faith; It’s all I ever knew. My theology was tested as I became a teenager, and especially as I became involved in the entertainment industry. I was very involved in my youth group as a young tween at Worship generation with Pastor Joey Buran, and I led worship there. When I was 13 I was at a dance competition in Riverside and I was offered agency representation by an L.A. talent agent who was judging there. You could say that was the very start of a long journey that has now lasted nearly 8 years. >>> Why did you say yes to God’s Not Dead? I thought the whole story was intriguing, not just because it had an obviously Christian narrative, but because ever since I was a young teenager I had a fascination with Apologetics and the idea of conversing about the meaning of life. I have been a fan of C.S. Lewis for years. This project seemed like a very exciting challenge. >>> Love it. Any funny moments on the set? Ad libs that stayed or last minute changes to the film? Well… this wasn’t very funny at the time but thinking back it does seem a little comical. I didn’t get the final version of the script until about 24 hours before we started shooting. The first 3 days of shooting consisted of all 3 debate scenes which were primarily all monologue for me—almost 2 dozen pages to be exact. I remember sitting in my hotel room freaking out thinking, “how am I going to do this?” I prayed through it and spent hours putting in the work to get it where it needed to be. It all worked out in the end! >>> Tell us about your personal belief and faith and how this film and journey has affected your life personally. As I mentioned above, I grew up in church. I learned pretty quickly how to act like a good church kid and say and do all the right “Christian” things. Though, my faith wasn’t inauthentic, I certainly didn’t understand the full weight of the gospel of Jesus Christ. I was merely modifying my behavior rather than responding to what Jesus did for me. I think in many ways I’m still learning every day what the effect of God’s constant, free, unmerited grace has on my life and the lives of those around me. The film’s narrative says a lot of things; but my character primarily is learning how to articulate his faith. I relate to Josh’s interest/journey. Writers like C.S. Lewis, and Pastor Tim Keller have inspired me to have a heart and mind that prepares me for conversations with people of all backgrounds and beliefs. Working on this movie made me all more aware of how important that is. >>> You have the ears of thousands of youth workers, what would you say to them? Oh man. So much pressure. Um… don’t try and be a better Christian. I thought that’s what it was about growing up in church. But honestly, just seek after Jesus. When it really hits your heart and you feel it… you feel what the cross was for Him; that “great exchange” as Luther called it… your sin for His righteousness. When that sinks down multiple floors of your soul, you will fall in love with your Creator because he loved you first, and sought you out for redemption. So love Jesus and love your neighbor. Let the Gospel of Jesus Christ change you from the inside out and make you into a servant. I think it’s so important to acquire knowledge in multiple cultural topics of life, i.e, history, science, art, philosophy… it’s all God’s and it’s all important. Don’t have a faith that only lives in the church. Let it live and thrive in every part of your life. The last thing we need are a bunch of ‘neat’ Christian youth pretending they have it all together. We don’t have it all together. And that’s why we need Jesus. He meets us in the ashes. And the Gospel of salvation is for everyone. May God’s grace empower and direct you!